When your baby comes home needs a confortable crib where tales are transformed into dreams and yours lullabies into sweet kisses. Furniture Ros is specialize in the manufacture children furniture. We have a catalog filled with cribs of high quality and incredible design. Everyone with quality and security certifications to ensure the current and future of your child. Convertible cribs are a confortable, beautiful, and modern products, but the most important thing is that convertible crib is the best option for your pocket: it is a crib that becomes to a perfect bed with auxiliar furnitures. Because your son’s dreams is our dream, because Furniture Ros grow up with your child. One of the new convertible cribs presented in our new catalog is the Convertible Crib “Elegance”. Because your baby deserves the best. 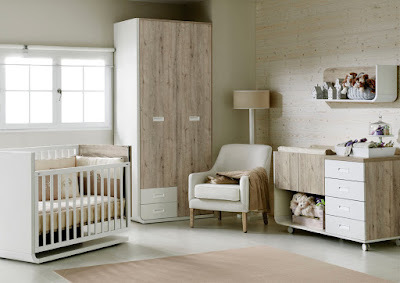 Therefore, we studied for the each of our new cribs, not only the design but also its functionality, comfort and safety. Example of this study is the new convertible crib “Elegance”, there is a path where design intersects with sobriety, elegance, functionality and security, that is the case of the new convertible crib “Elegance; including drawers and shelves on one side of the crib, and at the bottom there is another drawer or the option of putting another bed with its mattress. Once converted into bed, you just have to remove the drawers and the bed surface is larger. Put another mattress and you have a proper bed for when the your baby has become a child. The back and shelves will made a beautiful desk, which, of course, it combines with the bed. Our new houses and flats today are smaller than before That is why we design multi-functional furniture for children, so that it can cover more than one need with a single piece of furniture or a composition that uses the space available. For example, a bed can accommodate large drawers in an area often missed, or there are cribs that can be transformed into a small bed to remain useful as the child grows..